It’s so fluffy!!! Today is national fluffernutter day! The official state sandwich of Massachusetts is a once a year type of treat. 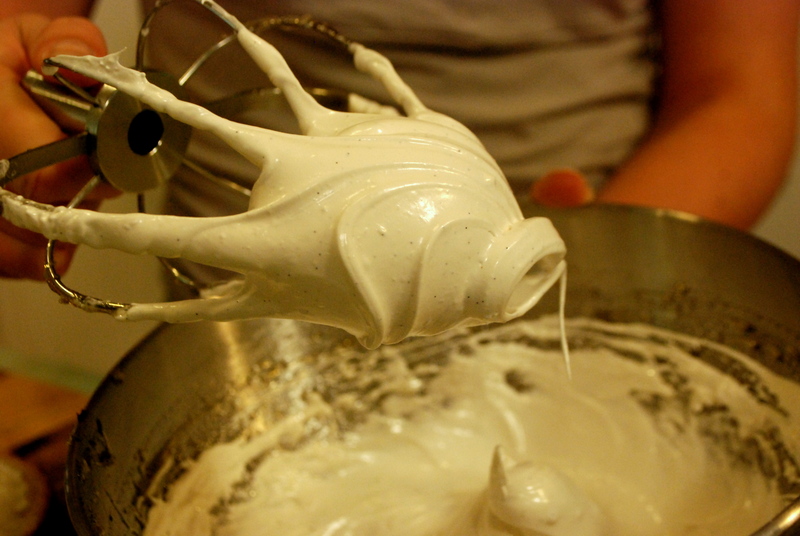 Thank you to Emma Curtis, an inventor and manufacturer of marshmallow cream, but we are making our own today. 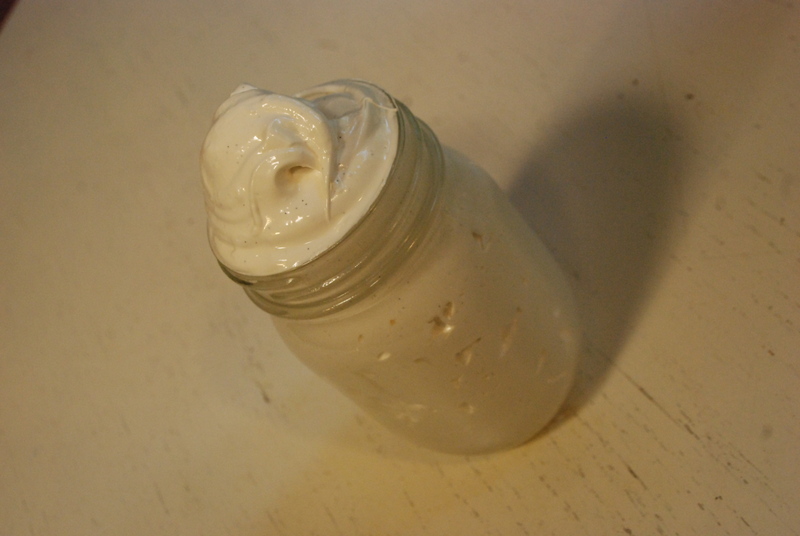 Also, a thanks to Ashley Rodriguez, writing for Craftsy.com, for inspiring me to make my own marshmallow fluff. 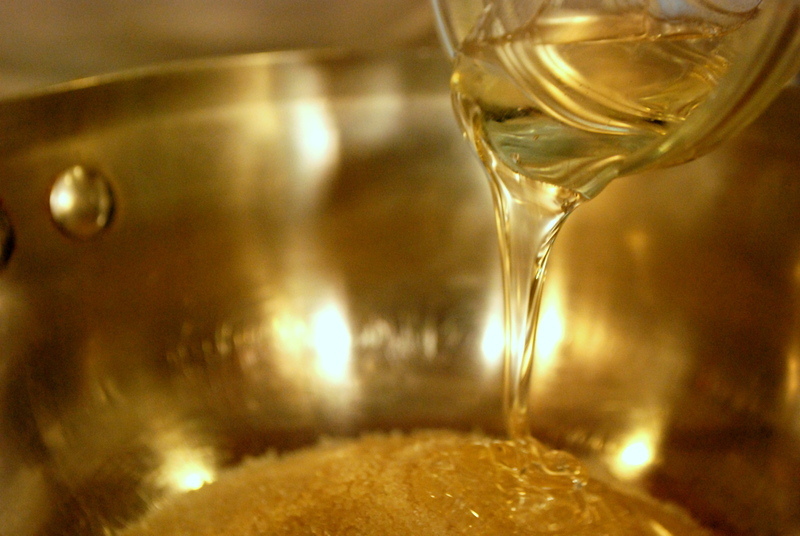 Start by combining the sugar, corn syrup and water in a small pan, over medium heat. 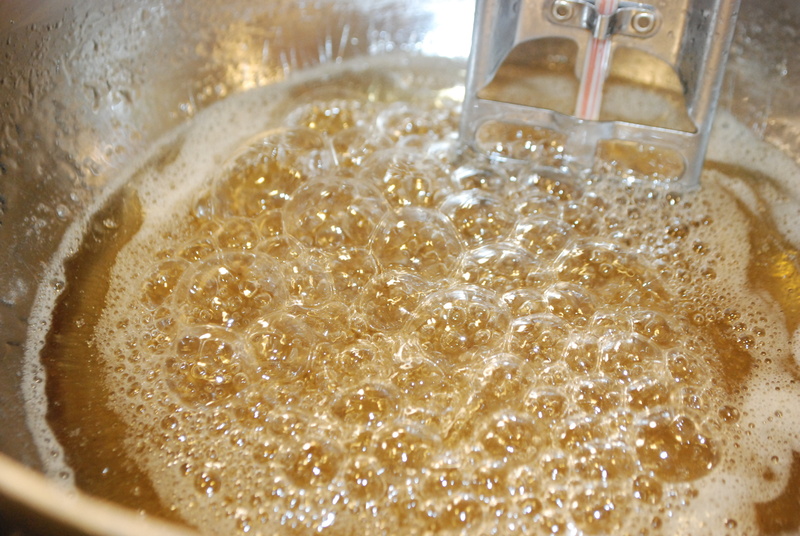 Be sure there is no sugar stuck to the sides of the pan, if uncooked sugar falls in after the other sugar has melted, it could crystallize the whole batch. Attach a candy thermometer to the side of your pan. You want your sugar to reach 240 degrees, or the “soft ball” stage. 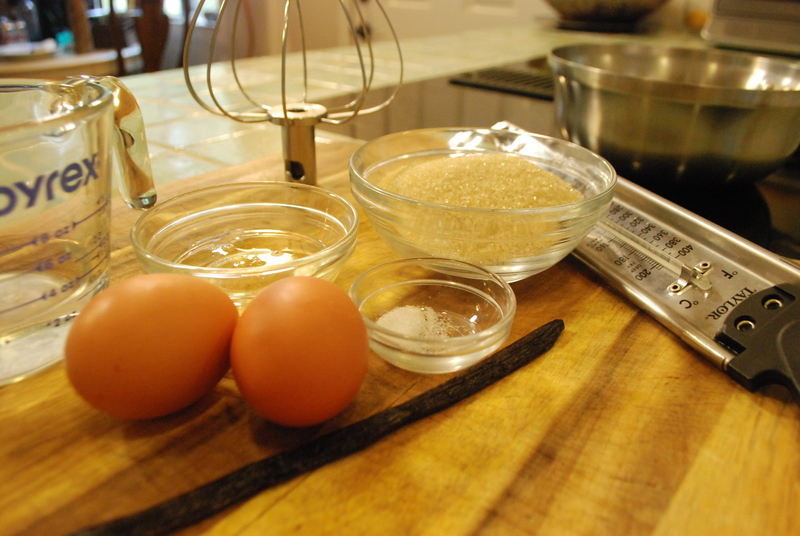 While your sugar is caramelizing, crack the eggs on your counter. Always use a flat surface to crack your eggs. This makes it less likely for bits of the shell to make their way into the egg whites. 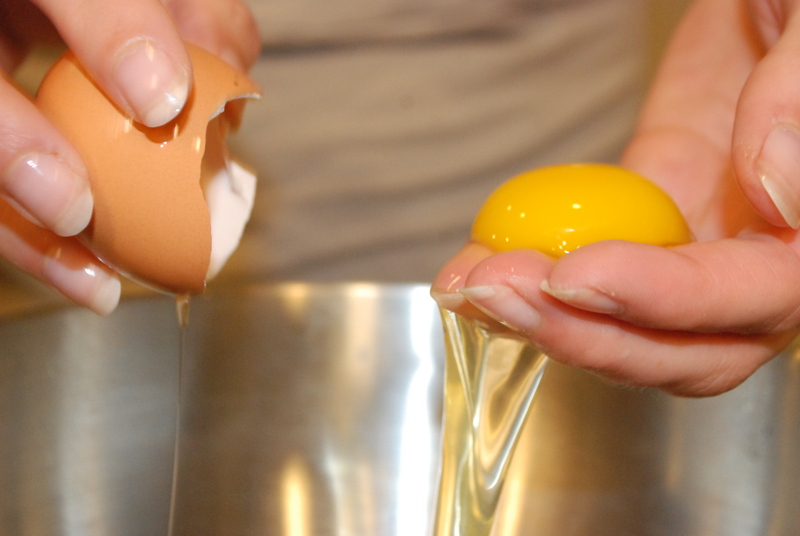 Hold the cracked egg over your mixing bowl. I like to use my hands instead of the shell to separate the yolk from the whites, you are much less likely puncture the yolk. And you really don’t want even the tiniest bit of yolk mixed in with your whites! If you do, you will never get stiff peaks, which is what we are looking for. 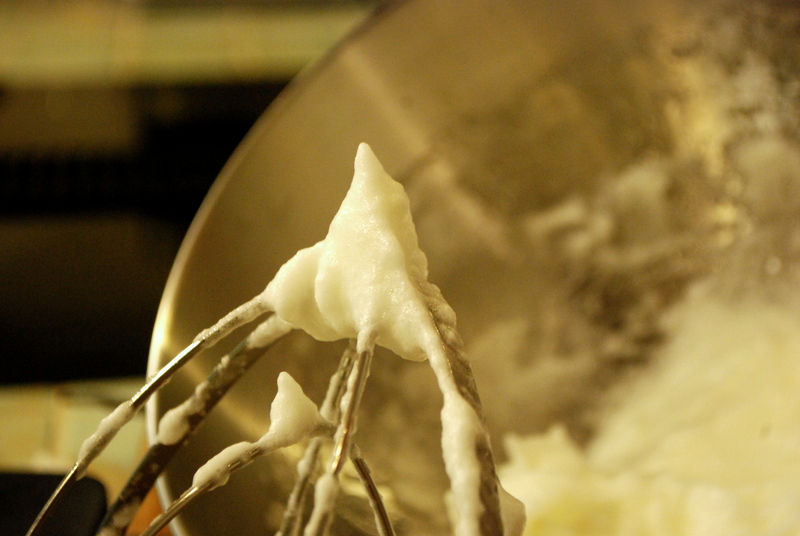 Whip the egg whites on medium until soft peaks form, then add the 1/4 tsp or pinch of salt and continue to whip, on high, until stiff peaks form. This should really only take a few minutes. If you have over-whipped your egg whites, they will first turn dry and no longer be shiny, then the protein and water in the whites will separate, leaving you with egg water and clumps of protein foam. This actually happened to me, b/c I was diddling around, and I had to rewhip 2 new egg whites. That’s okay! I need extra yolks to make ice cream anyhow. By this time, your sugar temperature should be getting close to 240. Ideally, your whites will reach soft peaks and your sugar will reach 240 around the same time. 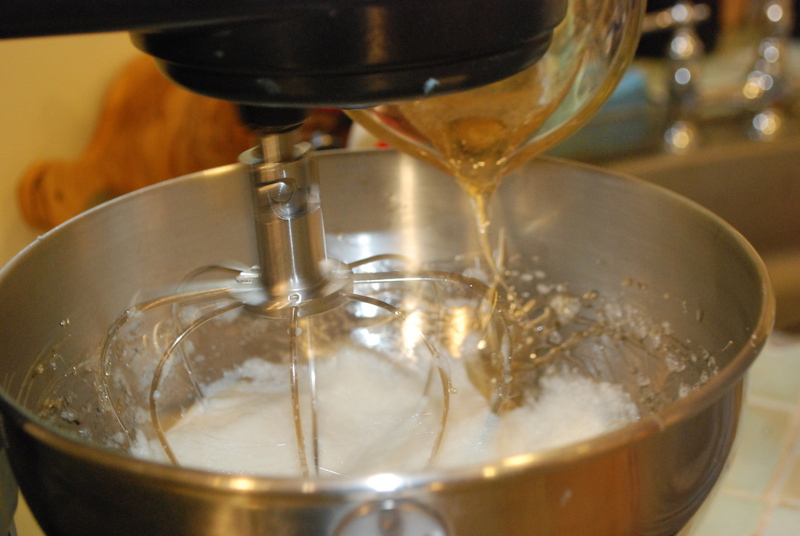 Now slowly add the caramelized sugar to your mixing bowl and whip on high speed until the bowl no longer feels hot to the touch, just warm, and is shiny, with stiff peaks. 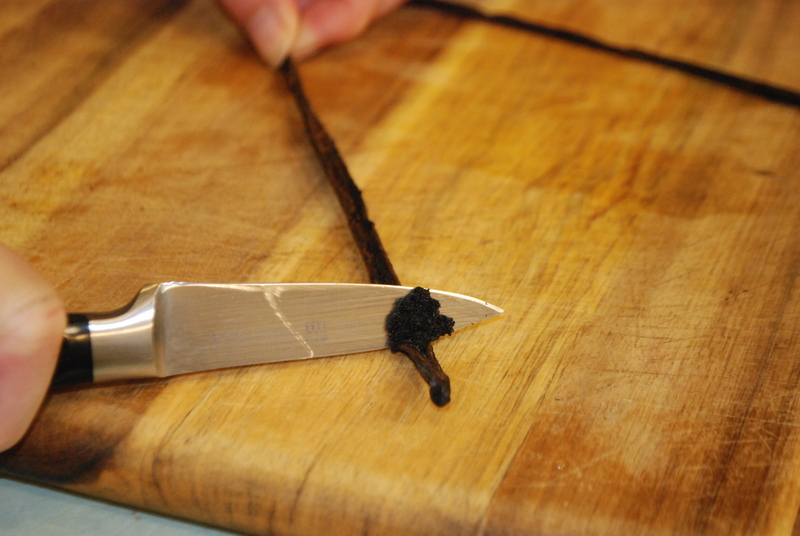 To collect the vanilla beans, use a pairing knife to slice the whole bean lengthwise. Pull the bean apart with your fingers, then run the back of the pairing knife down the length of the bean. Repeat with the other half, then add to the fluff mixture. Oooooooo! So shiny! And look at all of those pretty little black beans! You have now completed the only challenging part of the fluffernutter recipe. 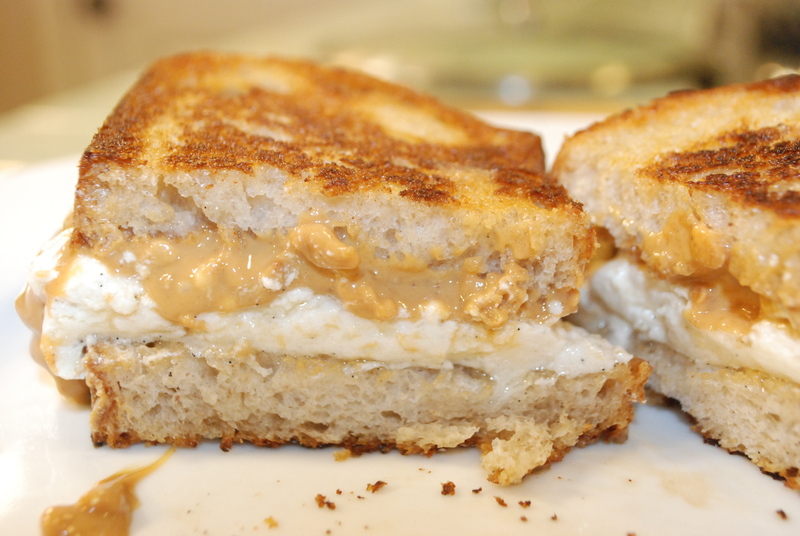 And really, if you are going to eat this maddeningly rich and delicious sandwich on this delightful food holiday, you might as well make your own fluff, right?! This can be kept in the fridge for a week. 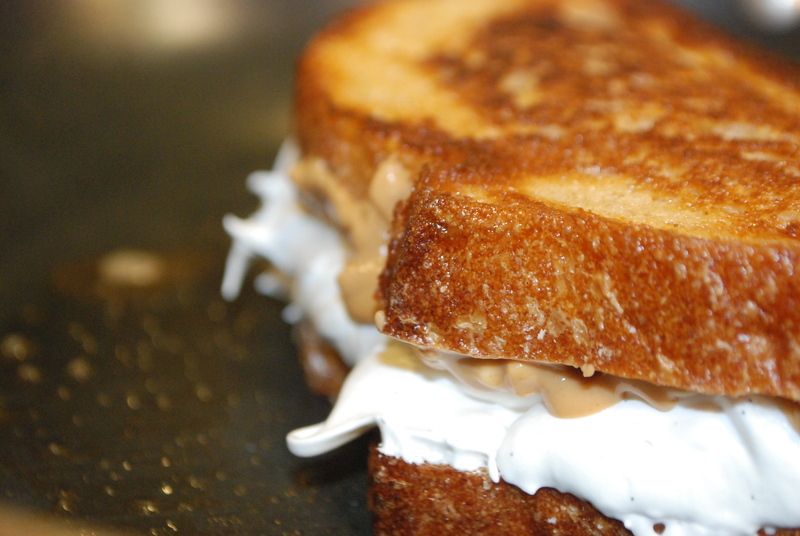 Put peanut butter on one half of your bread and fluff on the other half. I chose to use a crusty artisan bread, rather than the classic fluffernutter white bread. Spread butter on the outside of your sandwich and place in your pan over medium-low heat. Wow! Too good for words and definitely something worth trying, but probably only once a year. I am not too fond of peanut butter but I love the idea of this sticky sweet goodness. What can I use as a penut butter alternative? Any nut butter, really. Almond butter or Nutella would be tasty.